Background/Purpose: The efficacy and safety of tocilizumab (TCZ), an IL-6 receptor-alpha inhibitor, was evaluated in patients with giant cell arteritis (GCA) in GiACTA, a randomized, double-blind, placebo-controlled trial with blinded glucocorticoid regimens of variable dose and duration (Int J Rheumatol. 2013:912562). Data up to week 52, the time of primary outcome measurement, are presented. Methods: Patients aged ≥50 years had active GCA previously confirmed by temporal artery biopsy or cross-sectional imaging and documented acute-phase reactant elevation attributable to GCA. Randomization was stratified by baseline prednisone dose (≤30 or >30 mg/day). Patients were randomized 1:1:2:1 to 4 groups: A, short-course prednisone (26-week prednisone taper + weekly subcutaneous [SC] placebo); B, long-course prednisone (52-week prednisone taper + weekly SC placebo); C, weekly SC TCZ 162 mg + 26-week prednisone taper; D, every other week SC TCZ 162 mg + 26-week prednisone taper. The baseline prednisone dose (20-60 mg/day) was selected by the investigator. Prednisone doses <20 mg/day were blinded. Patients who flared or could not adhere to the protocol-defined tapering schedule received open-label prednisone escape therapy but continued on double-blind TCZ/placebo. Sustained remission was defined at week 52 as the absence of flare and normalization of C-reactive protein after week 12, combined with adherence to the protocol-defined prednisone taper. The primary and key secondary end point was the proportion of patients in sustained remission, comparing both TCZ groups (C, D) with the short-course prednisone group (A) and with the long-course prednisone group (B), respectively, at a significance level of 0.005. A dose hierarchy of statistical testing was implemented. Cumulative prednisone exposure was a secondary end point. Results: Of 251 patients randomized, the mean ± SD age was 69 ± 8.2 years, and 75% were female. In the primary comparison, 56% of patients in the weekly TCZ group and 53.1% in the every other week TCZ group achieved sustained remission at 12 months compared to only 14% in the short-course prednisone group (p < 0.0001). In the key secondary efficacy comparison, the percentage of patients in sustained remission in each TCZ group was also superior to that of patients in the long-course prednisone group (17.6%) (p ≤ 0.0002). The median cumulative steroid exposure in both TCZ groups was less than half that of those in the long-course prednisone group (Table). The incidence of adverse events was similar among the 4 treatment arms. No deaths and no new vision loss occurred over the period of observation. Conclusion: TCZ plus a 26-week prednisone taper was superior to both short- and long-course prednisone tapers for the achievement of sustained remission at 52 weeks. The addition of TCZ to prednisone also led to a substantial reduction in the cumulative prednisone doses required to control GCA. Disclosure: J. H. Stone, Roche Pharmaceuticals, 2,Roche Pharmaceuticals, 5; K. Tuckwell, Roche Products Ltd., 3; S. Dimonaco, Roche Products Ltd., 3; M. Klearman, Genentech/Roche, 1,Genentech/Roche, 3; M. Aringer, Roche, Chugai, 3,Roche, Chugai, 8; D. Blockmans, None; E. Brouwer, Roche Pharmaceuticals, 5; M. C. Cid, None; B. Dasgupta, Roche, GSK, Servier, Mundi Pharma, 5,Napp, 2,UCB, 8; J. Rech, None; C. Salvarani, None; R. F. Spiera, Roche/Genentech, 2,Roche/Genentech, 5; S. H. Unizony, None; N. Collinson, Roche Products Ltd., 3. Stone JH, Tuckwell K, Dimonaco S, Klearman M, Aringer M, Blockmans D, Brouwer E, Cid MC, Dasgupta B, Rech J, Salvarani C, Spiera RF, Unizony SH, Collinson N. Efficacy and Safety of Tocilizumab in Patients with Giant Cell Arteritis: Primary and Secondary Outcomes from a Phase 3, Randomized, Double-Blind, Placebo-Controlled Trial [abstract]. Arthritis Rheumatol. 2016; 68 (suppl 10). 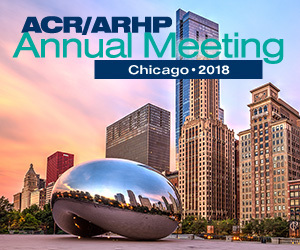 https://acrabstracts.org/abstract/efficacy-and-safety-of-tocilizumab-in-patients-with-giant-cell-arteritis-primary-and-secondary-outcomes-from-a-phase-3-randomized-double-blind-placebo-controlled-trial/. Accessed April 21, 2019.